Among patients undergoing TKA, aspirin alone may provide protection against postoperative VTE that is similar to that of other anticoagulants. 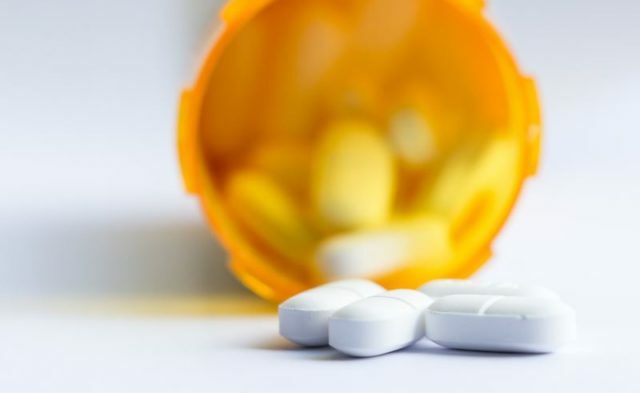 HealthDay News — Among patients undergoing total knee arthroplasty (TKA), aspirin alone may provide protection against postoperative venous thromboembolism (VTE) that is similar to that of other anticoagulants, according to a study published online Oct. 17 in JAMA Surgery. Brandon R. Hood, M.D., from the University of Michigan in Ann Arbor, and colleagues retrospectively assessed the acceptability of aspirin alone versus anticoagulant prophylaxis for reducing the risk of postoperative VTE among 41,537 patients who underwent primary TKA between April 1, 2013, and Oct. 31, 2015. Pharmacologic prophylaxis methods were: neither aspirin nor anticoagulants (668 patients), aspirin only (12,831 patients), anticoagulant only (e.g., low-molecular-weight heparin, warfarin, and Xa inhibitors; 22,620 patients), and both aspirin and anticoagulant (5,418 patients). The researchers found that VTE events occurred in 1.38 percent of patients, including 4.79 percent of those who received no pharmacologic prophylaxis, 1.16 percent treated with aspirin alone, 1.42 percent of those treated with anticoagulation alone, and 1.31 percent prescribed both aspirin and anticoagulation. For the composite of VTE or death, aspirin only was non-inferior versus other chemoprophylaxis (adjusted odds ratio, 0.85; 95 percent confidence interval [CI], 0.68 to 1.07; P for inferiority = 0.007). Bleeding occurred in 1.1 percent of patients overall and specifically in 1.5 percent without prophylaxis, 0.9 percent in the aspirin group, 1.14 percent with anticoagulation, and 1.35 percent of those receiving both. For bleeding complications, aspirin alone was also non-inferior (adjusted odds ratio, 0.8; 95 percent CI, 0.63 to 1; P for inferiority < 0.001). “In this study of patients undergoing TKA, aspirin was not inferior to other anticoagulants in the postoperative rate of VTE or death,” the authors write.